Whether you’re planning a trip for spring break, summer vacation, or travel of any kind, packing is the most stressful part of the trip! If you are checking a bag or trying to fit everything into your carry-on, how you use your personal item can make or break your flight! Nothing is worse than realizing the medicine you need is underneath the plane, or you left your headphones in your suitcase. 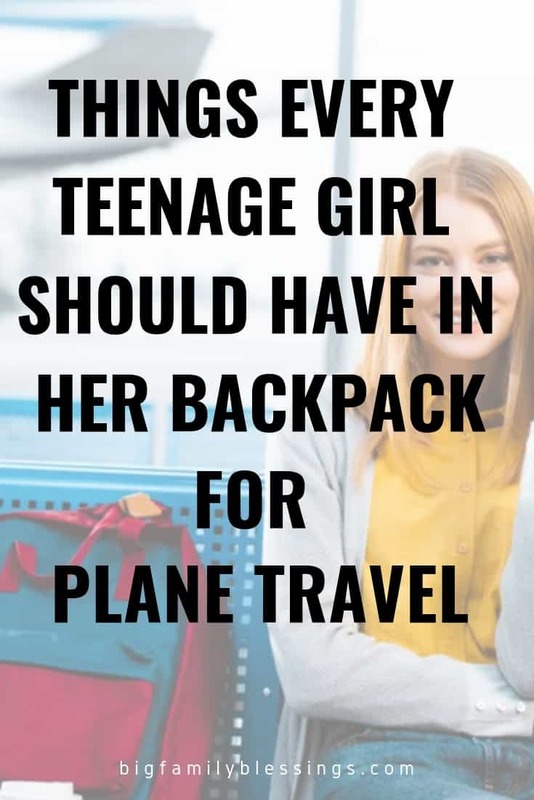 If you are bringing a teen with you on your next flight, here are a few things every teenage girl should have in her backpack for plane travel. If you are going to be on a long flight or looking for a way to listen to music and play games, having electronic devices in your backpack will be a serious life saver! Make sure they are fully charged before you get on the plane. Some smaller planes won’t have charging ports. Unless you have all your reading materials on your devices, you might want to consider packing a book or two and some magazines. Magazines are great for short flights and can easily be thrown out when you get to your destination! It’s always smart to pack reading material outside of your device, in case you need to conserve the battery on your device. No matter what flight you’re on, don’t forget these! Planes are very loud. Even if your daughter doesn’t usually use headphones, she might be glad for something to distract her from the noise of the flight. Your teen might want to use them to listen to an audiobook, watch an in-flight movie on her device, or listen to music. Your daughter could be sitting next to a person she’d rather not have a conversation with- sometimes putting a set of headphones on is the best defense against unwanted conversation. Check with TSA to make sure you have the proper identification before leaving for your trip. Make sure whatever you need is easy to get to and can be stored in your personal item. Even if your carry on bag needs to be checked, they won’t take your personal item. Keep these handy for your phone, tablet, and anything else that needs to be charged. You might want to pack a extension cord with a small powerstrip too- sometimes the plugs both in the airport and in lodging during your trip are few or far away. You can grab these at the airport or pack them before you leave. Snacking is a great way to pass the time during flights! Be sure to pack some gum for the change in air pressure during take off and landing. After going through security, fill up your water bottle to take on the airplane with you. Breaking an elastic in the middle of a plane ride is not fun for anyone! Make sure you have a few spares handy just in case one breaks. Bring some deodorant, perfume, chapstick, hand cream, and a few other personal care items with you on the plane. This will allow you to freshen up easily if you need it! In case you have a hair emergency or just need to run a brush through your hair. Airports and planes are kind of gross and full of germs. Thousands of people use them every single day! So make sure you have these handy to get rid of germs. Be sure your handsanitizer is small enough to take onboard the plane. If you will be going on a long or overnight flight an eye mask can be a great way to catch some extra z’s. Document your journey in a fun travel journal! If you are going to be sleeping on your flight, you can’t beat the comfort of a good neck pillow. Planes and airports can get kind of cold! Bring a light jacket or blanket to help keep you warm. No matter where you are traveling to, you can easily adapt this list to fit your needs! 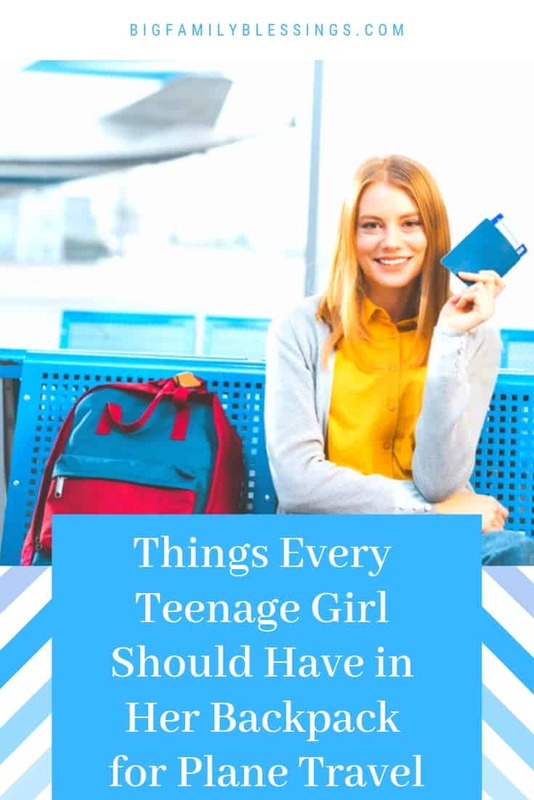 So give your teenage girl this list and get to packing!